Why should you hire Dorothy & Martha Moving NYC? There’s no road too tough for our residential movers Brooklyn! Okay, let’s talk about exactly what you want out of a moving company. The way we see it, first and foremost you want the most professional and skilled movers you can find, at agreeable prices. After all, if you wanted your move to be handled by amateurs, you wouldn’t have hired a moving company in the first place. You would’ve just called a couple of friends over, and tried to do it by yourself. But the fact that you’re looking for a moving company means you’ve realized two very important things. First of all, you’ve realized just how complicated a process moving is. And even more importantly, you’ve realized you’ll need professional assistance to do it right. And that’s where our residential movers Brooklyn come in! We’ve got all the know-how you’ll ever need to complete a successful relocation. If you give us the chance, our seasoned moving vets from Dorothy & Martha Moving NYC will help you out with your residential relocation! Leave the work to us, and start thinking about stuff like what Brooklyn events to visit. Yes, we realize that the old adage ‘time is money’ has become a bit tired and used up. But if we’re being honest there’s no matter where that’s truer than with moving. If you think about it, you’ll realize moving isn’t just one day for packing and one for moving. In actuality, moving will take up enormous chunks of your time weeks before our residential movers Brooklyn start up the moving van. You’ve got planning to do, packing materials to buy, and all of your stuff to pack. 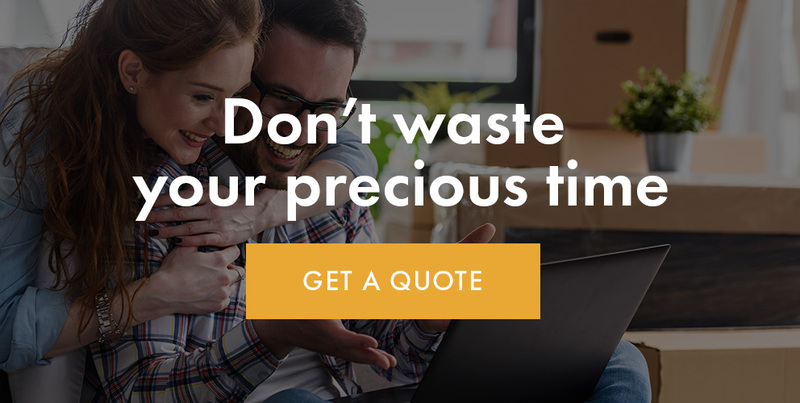 That’s why you want a moving company that won’t eat up any more of your time than it needs to. Here at Dorothy & Martha Moving NYC, we realize that expediency is the name of the game. That’s why we strive to do our job like clockwork – efficiently, but carefully. We will assist you with everything when it comes to any kind of your moving needs. If you were thinking of how to pick the right mover – you can stop! Contact us, and we’ll take the rest from there! Your time with Dorothy & Martha Moving NYC will be time well spent! Residential moving isn’t just any kind of relocation. Really, in a lot of ways, it’s a very private, homely affair. It’s only logical when you think about it. After all, you are packing your home and moving it somewhere else. There are a lot of emotions involved, and we know how much all of your things mean to you. When you move to your new household, those things will be what ties you to your previous home. That’s why we take great care and extreme caution when handling your items. We realize that we’re not just driving furniture from one place to the next – we’re moving someone’s home, someone’s entire life. This is the kind of thoughtful quality service you’ll be getting with Dorothy & Martha Moving NYC. And speaking of thoughtfulness, let’s talk about the way we handle our customers. After all, it’s important to know you can have great communications with a moving company before hiring them. Relocation is a dynamic process, so it’s important everyone involved can voice their feedback and make the process run well. That’s why we understand that our customer relations are the bedrock and pillars on which our company stands. If you hire our residential movers Brooklyn, you’ll be getting the best customer service you can find in the business. To be honest, our customer relations principle is simple – we relate to our customers. We care about your needs, and we’re not just there to load a truck and get paid. We’re there to make your relocation a completely smooth transition, so don’t think twice about calling Dorothy & Martha Moving NYC! At Dorothy & Martha NYC, good vibes are company policy! We hope we’ve convinced you of the level of quality Dorothy & Martha Moving NYC operates at! If you contact us, you can be sure you’re getting the best moving services at the most affordable prices in all of New York! So no matter what you need, from a nationwide relocation to moving around the block – you know who to call!